Free Shipping Included! 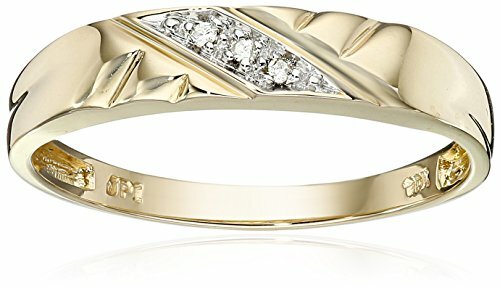 10k Yellow Gold Diagonal Diamond Women's Wedding Band (0.01 cttw, I-J Color, I2-I3 Clarity), Size 6 by Amazon Collection at Mas Fashion. MPN: J62742RD-060. Hurry! Limited time offer. Offer valid only while supplies last.